Guillermo Aranda-Mena (PhD) is an Associate Professor at RMIT Melbourne and is UNESCO Architecture Professor at the Politecnico di Milano, Italy. He has worked on research, consulting and education in the built environment disciplines of architecture, planning and building operations for over two decades. Guillermo provides expertise in architectural design at the early conceptual project stages, and advises on project value, risk and building innovation including the use of Building Information Modeling (BIM) for lifecycle operations. His clients include a wide range of government, educational and corporate organisations. Guillermo also sits on RMIT University’s steering committee for BIM governance. RMIT University is the largest holder of property in Melbourne CBD with a total property portfolio asset value across all campuses currently worth AUD$1.70 billion, and a total Gross Floor Area (GFA) of 474,342m². The University provides an excellent case to demonstrate the value of BIM for lifecycle assessment and use: from architectural design to building operations across its campuses in Australia, Europe and Southeast Asia. 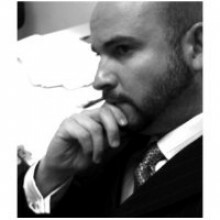 Guillermo also provides independent expert advice to private and corporate clients at during the project stages to develop governance strategies and architectural briefing utilising Value Management (VM) workshops. The RMIT School of Property, Construction and Project Management is a leading provider of education, research and training in the construction, project management and property industries. They are renowned for our reputable programs, strong links with industry, involvement in professional bodies and collaborative approach to research.